This modal Latin tune is very catchy and just feels right! Our audio excerpt starts after the eight-measure Latin drum set-up that starts this recording. The melody is a longer form than the solo section, so the solo section is written out in all lead sheets. The solo section is a 32-measure AABA form (the As are Latin and B swings). If you want to hear an incredible Latin rhythm section groove that smoothly transitions into a swing bridge, this recording is a must for your collection! Dexter simplifies the bridge a little on the out chorus, which is also notated in all lead sheets. Everyone will enjoy playing this one! Don Sickler: "As I mentioned in the notes to McSplivens (another track from ‘A Swingin' Affair’ with lead sheets available), Soy Califa is played by one of the great jazz rhythm sections. "Dexter recorded with one of Blue Note's classic rhythm sections. This rhythm section started recording as a unit on October 26, 1961, on Jackie McLean's ‘A Fickle Sonance’ album, following that up a couple of weeks later with Sonny Clark's 'Leapin' and Lopin'' session. 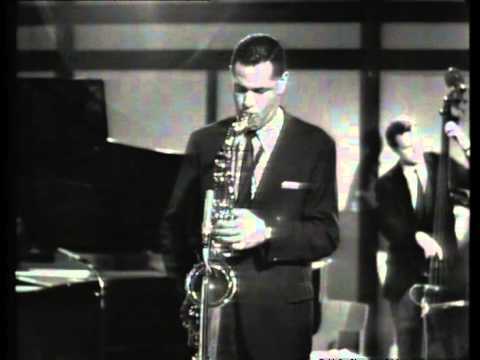 On June 14, 1962, they were again together to record Jackie McLean's ‘Hipnosis’ session, and four days later did Don Wilkerson's ‘Preach Brother!’ session. "Drummer Billy Higgins, who recorded with so many great rhythm section players, told me he always felt this was a very special rhythm section. The last two recordings that rhythm section made together are Dexter's classics ‘Go!’ and ‘A Swingin' Affair.’"
To hear drummer Billy Higgins talking with engineer Rudy Van Gelder and myself about Dexter Gordon with reference to this particular date, go to our YouTube channel. Don Sicker: "Whenever I got the chance to perform with drummer Billy Higgins, Soy Califa was always part of our repertoire. I remember when Billy and I first discussed it, Billy wanted to listen with me to his recording with Dexter to discuss Sonny Clark and the rhythm section's performance. After we listened together, Billy remarked on how Sonny immediately and masterfully took over the rhythm section for Dexter's solo clip, laying down a serious vibe for each A section that Billy and bassist Butch Warren just had to lock into. Sonny Clark's Latin A sections of this AABA form solo section are certainly something special. Glenn Zaleski has transcribed the As for the first three choruses of Dexter's solo and they are included in this edition along with different variations of footballs for the swing B sections." Sonny was a master of comping simple rhythmic patterns. This modal setting is perfect for him to groove through repeated 2-measure figures, which he then varies slightly; for example, compare A1 and C of the third chorus.